Painting your home or business through reliable service and professional results. 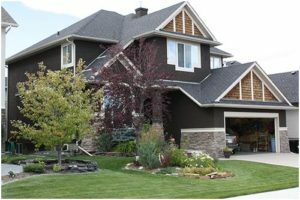 Since 2007, Earl’s Paintworks has established and maintained a strong reputation in the Calgary area for superior results, reliability, and responsiveness to customer needs. To consistently provide the highest quality painting services through excellent workmanship and utmost respect for the customer at afforable prices. Our commitment to you is completion of your project on budget and on time with attention to detail throughout the preparation, painting and clean-up process. Earl’s Paintworks are your trusted Calgary painters. We use only the best products with quality application techniques to give the finished project the most professional look. 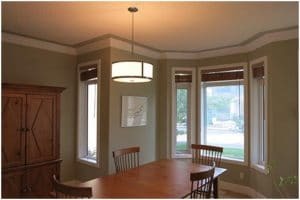 Our Calgary painters cater to residential and commercial projects, so whether you want an update for your home or to give your business a new look, we make sure the project is completed to your satisfaction. We not only are experts in interior painting, but also excel in painting of residential and commercial building exteriors as well. See our Calgary painting services page. Contact us for a quote or to book us for you next painting project in Calgary. 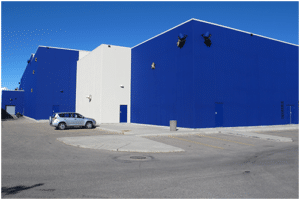 Contact us for a quote or to book us for your latest painting project in Calgary! We are finicky people who appreciate that you get what you pay for and deem this experience as first rate and would not hesitate to use Earl again. We are reluctant to refer companies, as we don’t ever want to be responsible for someone’s bad experience, but we have no issue recommending Earl to anyone looking for a similar service. Earl and his team painted our 1800 square foot home and did an excellent job. He was very prompt in returning my phone calls and worked around the schedule of my husband and I. We were impressed with his reasonable prices, quality of his work and the quick turn around on the job. Earl also went beyond to fix some problem wall areas in our bathroom. Thanks for the great service!! We hired Earl’s Paintworks to paint the exterior of our house in 2014. The owner Earl Nolan supervised and worked with the crew full time and did a lot of the work himself. All of the crew members were friendly and courteous and did not disturb us or the neighbours with music or other excessive noise. They tidied up properly before leaving the work site each day. They started the work when expected and worked full time on our job, weather permitting, until it was completed. They did an excellent job scraping, priming, painting with multiple trim colours and touching up. We were not invoiced until Earl did a walk-around with us to confirm that we were satisfied with the work. Earl cleaned all paint drops from the windows and even washed the windows when the painting was done. He billed us for the quoted cost and did not ask for any cost extras. Ready to see how Earl’s Paintworks can transform your home or business? Have a look at some of our previous projects in our gallery and contact us for a free, no-obligation quote. Your home or business deserves some of the best painting services Calgary has to offer, you’ll find that service with Earl’s Paintworks.